Maximizing storage space in a small footprint, the Lansing is the perfect addition to any home. The lower level is sized to accommodate two cars, or can be set up as a work shop. The upper level features numerous windows to allow natural light and is ready and waiting to be finished according to your needs. 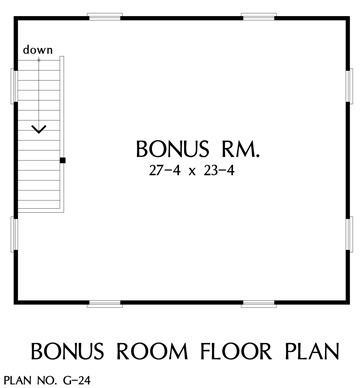 Bonus Room: 671 Sq. 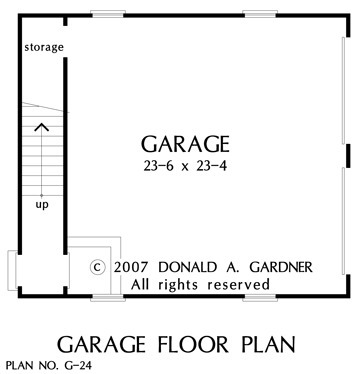 Ft.
House Dimensions: 28' 0" x 24' 0"
Bonus Room : 27' 4" x 23' 4" x 8' 0"
Garage : 23' 4" x 23' 4" x 0' 0"
Garage Storage : 3' 8" x 10' 0" x 0' 0"
Other : 3' 6" x 8' 4" x 8' 0"